Day two with the afterfocus app, I thought it would be useful to show the limited depth use for portrature – that being one of the more often used depths of field in some peoples photography. As discussed yesterday, unless one is shooting in macro, mobiles and small sensor cameras have a wide depgh of field due simply to the sensor and lens combination not really making shallow wide open shots possible. In todays self portrait, from my hand to the wall in the background, all was in focus more or less. 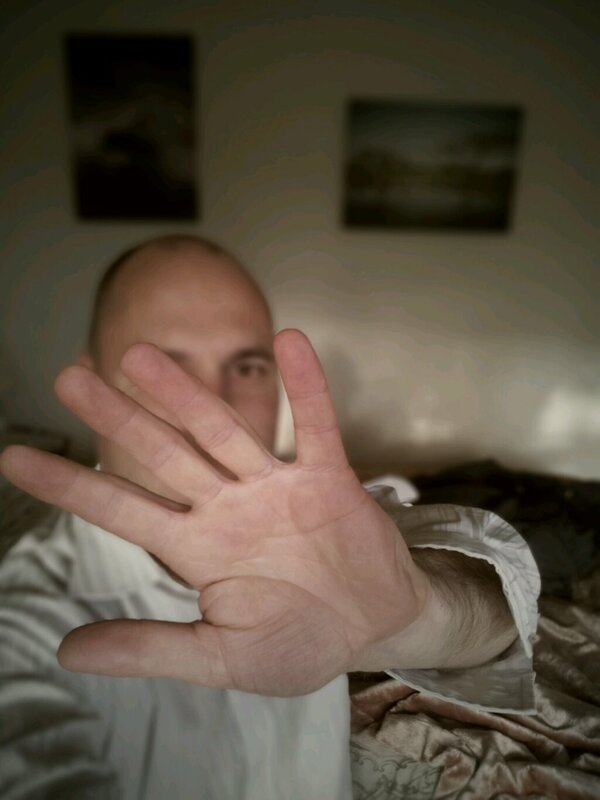 Using Afterfocus I selected my hand as the in focus, my body and head as midfocus, and the rest as background. Then, using Afterfocus’ other functions I added a vintage filter and vignette. I will look to try out another app tomorrow, but Afterfocus is a keeper for my mobile phone photography!